Target character you control gets +2A +2D and the icon this turn. Give that character an additional +1A and +1D. S.H.I.E.L.D. 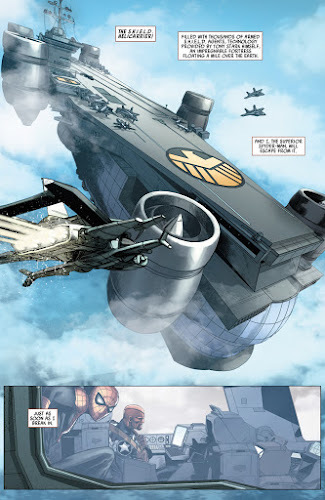 Helicarrier: Illiad is missing a rarity stripe and is common.